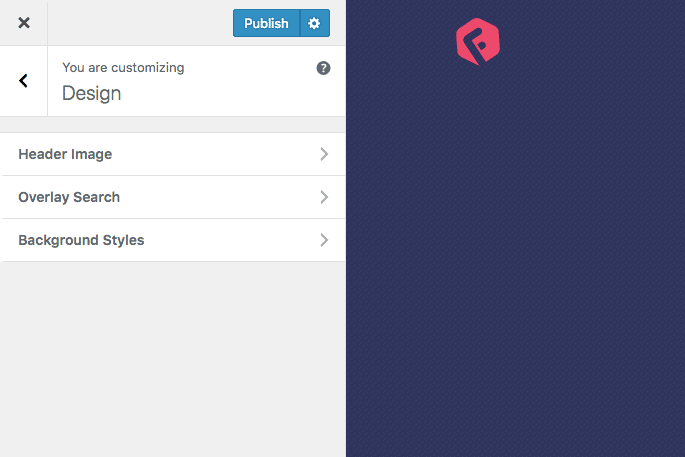 You will find all design related settings under Customize > Design. Current screenshot of “Design Settings”. It might be different with more options. 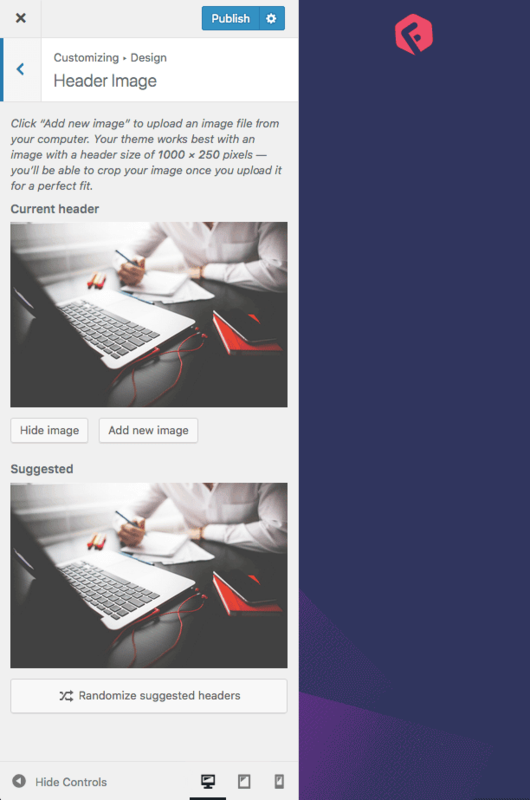 You can upload a header image that will be shown as Blog header background image. Also if you don’t have Featured Image set for your post, it will work as fallback image in case you set “Large Header” for your post layout. Make sure to upload a larger resolution image (i.e. 1200×800) for better view. 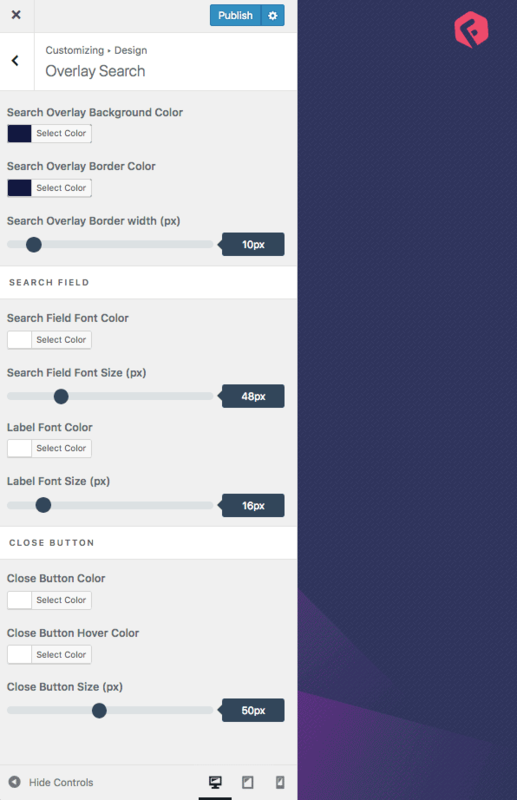 You can change the design of “Overlay Search” that you can enable from Customize > Header > Enable Search Menu. You will find all necessary option to design the overlay search popup. 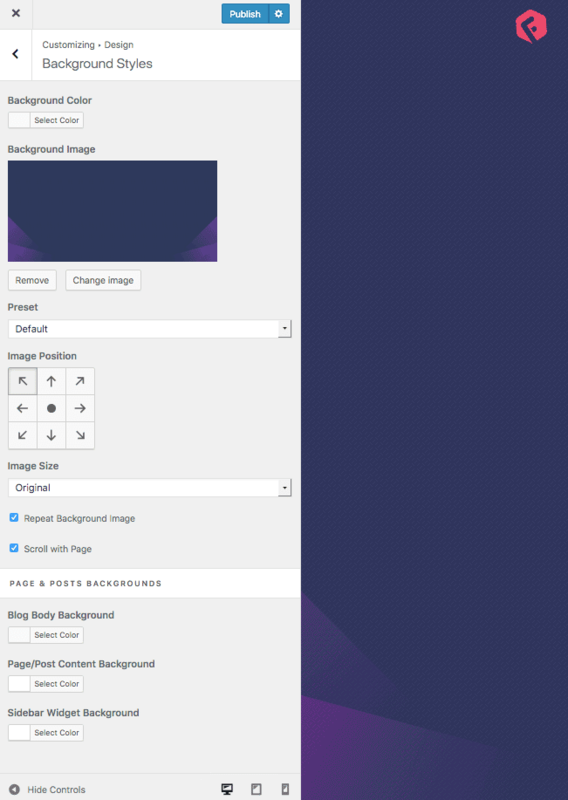 You can set background image and color for your site. Usually it will be applied to your page body. You can also control the Page and Post content background colors.